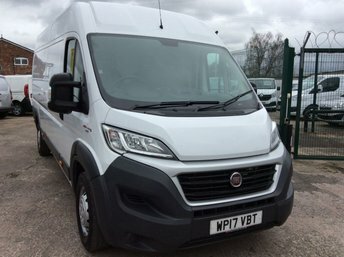 Fiat is renowned for its stylish vehicles, and its vans like the Ducato and the Doblo blend this style with practicality. For large vehicles, FiatÕs commercials handle impressively well and they are very satisfying to drive, but donÕt take our word for it, test one for yourself! Test drives can be arranged over the phone; call us today on 01925 821023. You can feel assured that you are in safe hands, because our vans have all undergone extremely thorough inspections, ensuring that they are in prime condition.